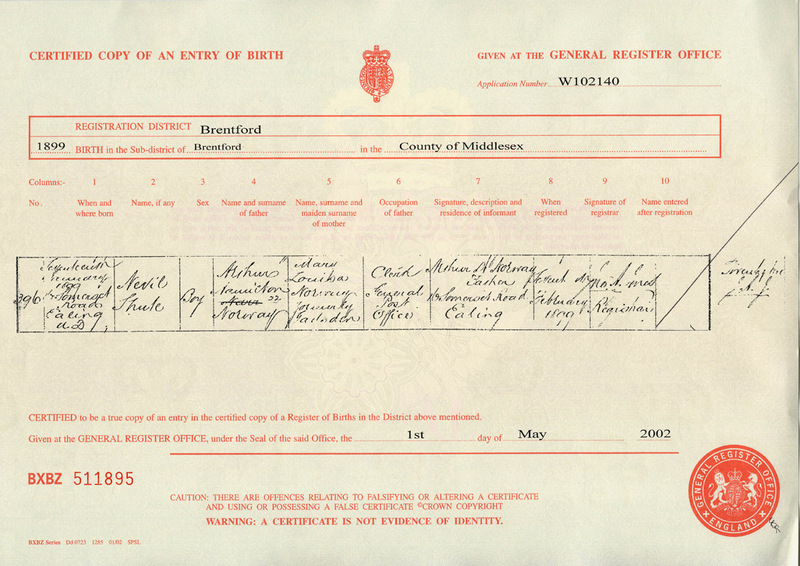 In the UK, since 1837 all births, deaths and marriages have been registered officially. The details are entered into a book, the register, and (for a fee) you normally get a hand written certificate stating that it is an accurate record of what is in the book. 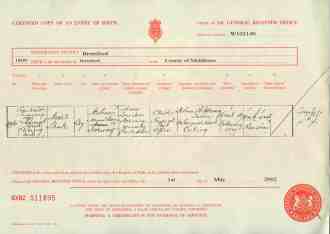 This is what people normally regard as a birth/death/marriage certificate. The past records are now kept centrally, but there are indexes of the entries kept at the Family Records Centre in London and also on microfilm/fiche at certain local libraries. From these indexes you can order a 'certificate' of the record, again for a fee (currently £6-50 if you have the entry reference). The document is a photostat of the original filmed record and the quality is degraded through the various processes to produce it. I must stress this is not the original birth certificate, which I guess would be in the possession of the family if it still exists.